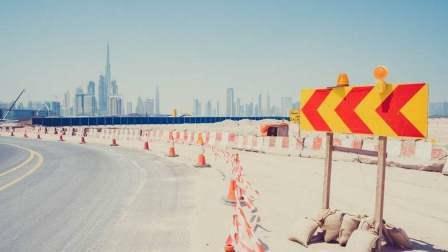 Preparations in the run-up to Expo 2020 are proving to be a catalyst for the UAE construction industry. The rise in oil prices is also beneficial for contractors since regional governments are beginning to restart old projects or invest in new infrastructure development. However, contractors are not insulated from challenges - they face smaller margins, more competition in project bids, delayed payments and rise in the cost of doing business. There is also concern about the extent of project awards after all the Expo contracts have been let. "There is a large amount of current activity but concerns remain about the volume of works after 2020. Meed Projects estimate that around 30 per cent of the $3.8 billion in construction contracts for the Expo have already been let, with another 60 per cent in the final procurement stage and expected to be let during 2018. The volume of new projects awarded across the UAE is expected to decline in 2019 and 2020," says Alan Baker, JLL national director, project and development services - Mena. Sentiment in the UAE's construction sector is optimistic as the region prepares for Expo 2020. According to Avin Gidwani, CEO of BNC Network: "As the demand for hotel rooms, housing and the need to expand infrastructure increases, one can see activity in a number of construction sites across Dubai. Crude price that is currently hovering over $60 per barrel, up from $40 to $50 a few months ago, is going to lift investor sentiment and will encourage the government and the private sector to invest in new projects or start held-over projects." Sentiment is most optimistic among contractors in Saudi Arabia and the UAE as the governments look to spend more on infrastructure and construction as they seek to diversify their economies away from oil. The consultancy JLL estimates that the Dubai government has passed the largest ever budget for 2018 (totalling Dh57 billion) of which more than 20 per cent is allocated to infrastructure spending (an increase of more than 40 per cent from 2017). "Activities related to setting up the venue for Expo 2020, especially the Dubai Metro expansion by the Roads and Transport Authority, is supporting demand," observes Bharat Bhatia, CEO of Conares, a steel products manufacturer. He adds: "Our order book is pretty good for the future and we are very positive for the year 2018." A spokesperson from Atradius, a global credit insurance company, says: "We have observed a positive momentum in the sector since Q4 2017 which we believe will continue. In fact, we expect a further pick-up in pace during the second half of 2018. Improved oil prices are and will continue to positively impact the overall perception and the fiscal position of the construction sector." Recent findings from Pinsent Masons' GCC Construction Survey refer to ongoing concerns relating to delayed payment, the rising cost of capital and increased number of disputes. "The industry faces a number of key challenges, including pressures on margins and increased competition for projects. This is placing a burden on many second tier contractors who are finding themselves squeezed by the trend for larger firms to bid for smaller projects than they have traditionally been interested in. Delays in payment terms have impacted the cash flow and reduced the profitability of many contractors," explains JLL's Baker. Market observers claim some contractors face up to a six-month delay in getting their payments. However, defaults have been low in the past few years. "Another problem is the higher cost of doing business - with the recent set of new fees introduced, cost of business is going to go up significantly this year. Last year, most contractors had to add mandatory health insurance scheme for their workers. Construction companies run business on a very thin margin - between 3 to 5 per cent. Any cost escalation causes negative cash flow. These are teething issues due to regulatory changes and will settle soon as business align to these changes," points out Gidwani. However, Conares' Bhatia denies any challenges with regards to payments. "Banks are very supportive and our contractors are also paying on time with no records of disputes." While infrastructure accounts for a big chunk of construction awards, there are growth opportunities in other segments as well. Almost 40 per cent of the total spending on Expo 2020 related projects of $6.1 billion has been allocated to infrastructure projects. "There has been a pronounced move away from traditional asset classes [offices, residential, retail and hotels] in recent years, with more interest in alternative assets such as affordable housing, education and healthcare. We see this trend continuing into 2018, with increased interest in areas such as student housing. There remains significant investment in physical infrastructure in both the UAE and Saudi Arabia," reckons Baker. BNC Network's Gidwani adds: "To meet the anticipated demand of over 20 million visitors by 2020, the hospitality, leisure and recreation and retail sectors will offer large opportunities. Although the higher cost of doing business is squeezing the profit margin, these sectors still remain profitable."